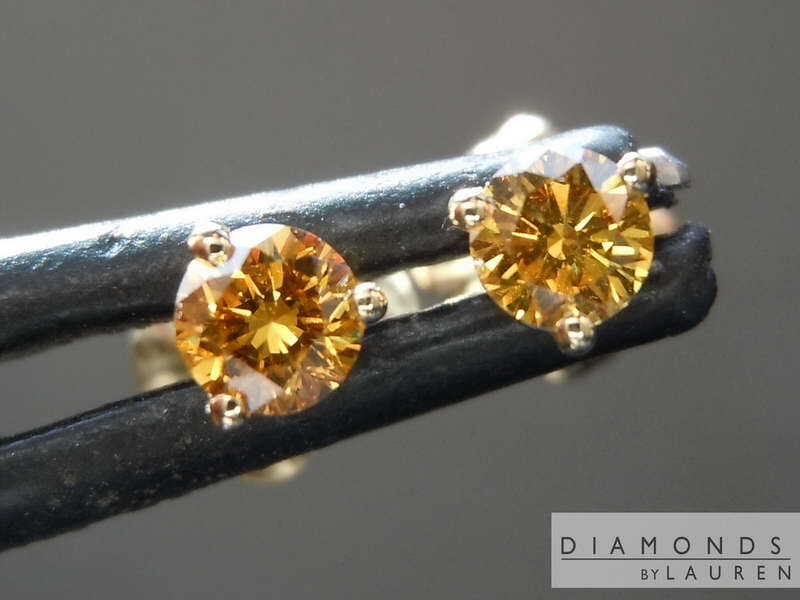 Here is a really sweet pair of diamonds with a great natural. 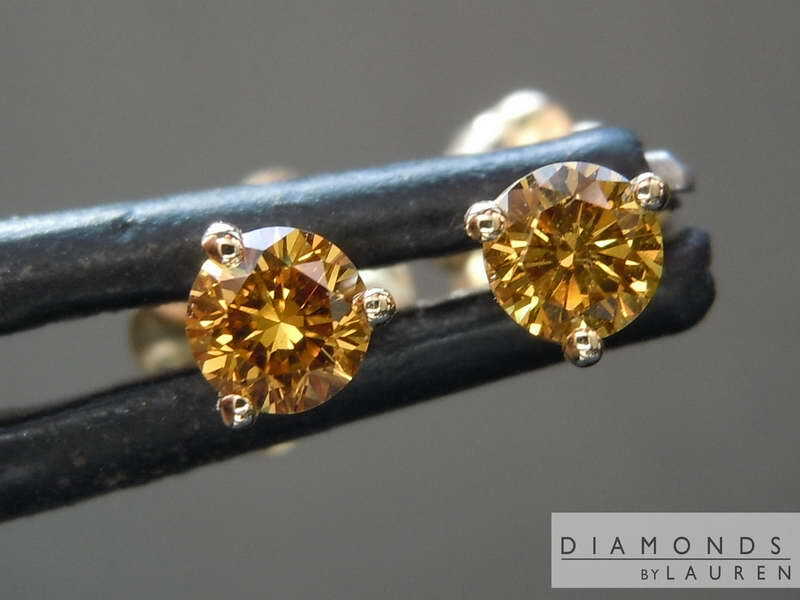 The color of these diamonds is so cool. The orange is very noticeable, but there are more golden flashes of color as well. 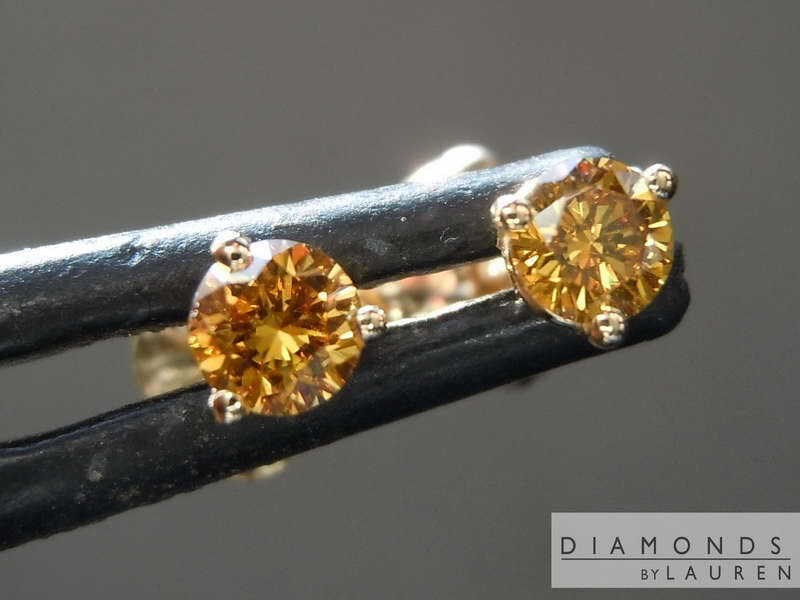 They may be smaller in size, but they really will pop on the ear. 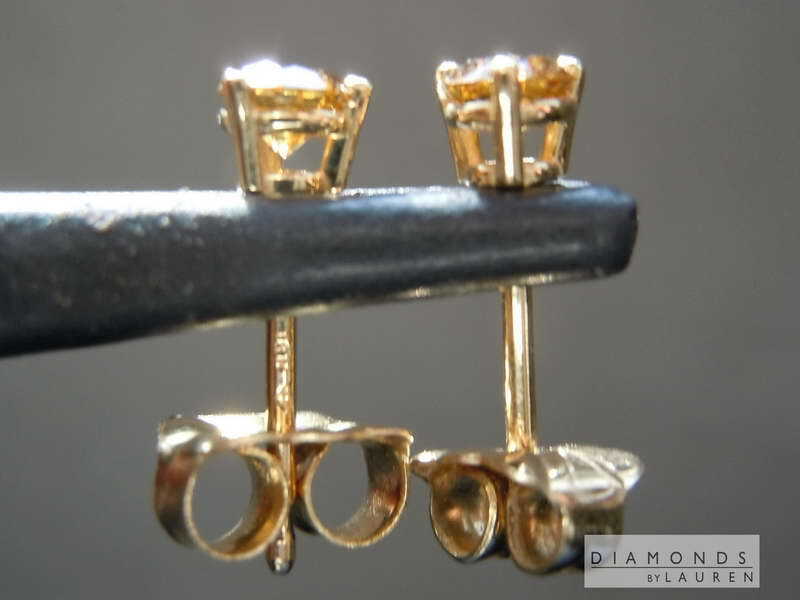 Set into 18karat yellow gold martini settings. They are super comfortable to wear.